The Kennel Club Print Store is a print on demand service, offering over thousands of images from our collections as high quality art prints, framed and mounted prints, canvases and creative gifts. 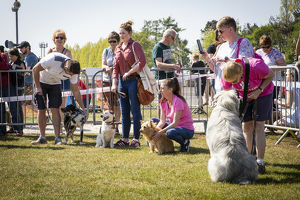 We also feature high quality photos available for print on demand services taken at some of our dog events such as Crufts, Discover Dogs, International Agility Festival and many more. The Kennel Club Picture Library is a commercial picture library holding one of the largest collections of dog images, anywhere. We focus on supplying licensed images for commercial use in books, newspapers, magazines, websites, TV, adverts, educational programmes and any other forms of editorial and creative use. 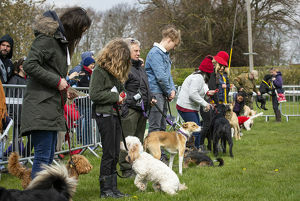 We manage a wide range of dog images, including British breed standards, rare breeds, puppies, Crufts, dog shows, historical dog paintings, breed standard illustrations, assistance and service dogs, historical, social history, lifestyle and much more. We also proudly hold the Diane Pearce Collection ©, Marc Henrie Crufts Collection © as well as a private collection compiled of early 19th century dog photographs and some historical pictures of the Royal Family with their dogs. We uniquely specialise in historical and illustrative dog images. Together with our online search facility which is designed to enable fast and easy access to our collections we are always available to discuss any individual projects and offer advice on and help you to find the best dog image that illustrates your brief. The Kennel Club Picture Library is a member of The British Association of Picture Libraries and Agencies, or BAPLA. Print and print products on demand are for personal (e.g. memento, gift, home) use only. Print and print products are not for commercial re-sale, publication or reproduction, digitally or otherwise. Copyright © The Kennel Club Limited 2016. The unauthorised reproduction of text and images is strictly prohibited.